Reverse SEO, also referred to as suppression is the way digital marketers and SEO experts push down an unwanted link that appears on the first several pages within search engine results. So, have you ever Googled yourself and were surprised at the search results? Google does an excellent job at pinpointing to most relative articles based on the words you type into the search bar. But what happens when you see something negative? What steps can you take to clear those pages of search results from the public eye? 65% of people view an online search as the most trusted source of information. That’s a higher level of trust than any other online or offline source. This can happen to anyone, business owners and individuals. We decided to come up with several tips and tricks to assist those attempting to hide pesky negative reviews, old embarrassing photos and/or bad press that may hinder your overall success. The best way to maintain a positive reputation online is to routinely monitor and reverse search engine optimization anything that is deemed detrimental to the overall success of that business/individual. In order to accomplish this, you must conduct a background suppression or removal solution to wipe the internet of your personal information. 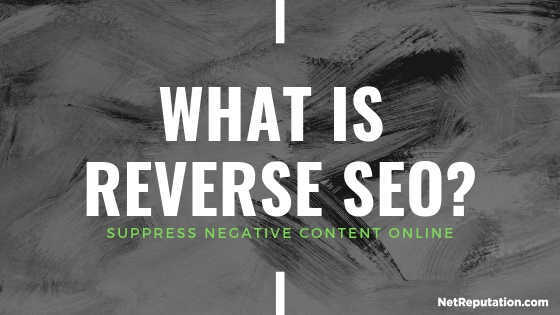 Now let’s take a deeper look into how reverse SEO works and what you can start implementing today in order to promote yourself in a positive light online. What can you do to better your negative content removal efforts? Online reputation management plans are essential for everyone. Consumers turn to the internet for answers to all their problems, make sure you know how to handle your before it ruins your life. How to Reverse SEO Specific Web Pages on Google. If you are currently struggling with a negative link on the first page of Google there are several things you can do to push it further down the result pages. Whether you have one negative appearing or several within Google’s web pages, here is a list of 4 ideas you can start implementing today to avoid a brand crisis down the road. When it comes to making a name for yourself or your brand, especially on Google, you must promote yourself as much as possible. Whether your efforts are paid or organic, consumers want to read about the most trending, up-to-date news. Select keywords to use within your content, this is good for SEO. Bad SEO practices, for example, would consist of keyword stuffing your articles, Google hates this and will penalize writers for trying to “beat” the system. Keyword stuffing is when you place your keyword in your article more than that accounts for over 2.5% of the text. For businesses, this could be as simple as publishing a few blog articles on your website each week or undergoing various public relation efforts such as press releases. Press releases are one of the most effective ways to perform reverse SEO for a bad review, negative article or an unwarranted photo. Typically these media outlets have high domain authority and are viewed favorably by Google. This is why you always see news stations and large publishers in the top positions of each SERPs (Search Engine Results Pages). Create a content release schedule, this way you can plan your posts and publications ahead of time in case your personal schedule gets busy. Since Google does not penalize web pages based on whether you like it or not, you must remain proactive by repeatedly putting out more and more content. Use tools like SEMRush to find the best keywords to use in order to outrank the article in question. Furthermore, it takes roughly 2-3 weeks for a new article to gain traction online, so if you do not see movement within the result pages do not give up, it will happen, just give it time to adjust. 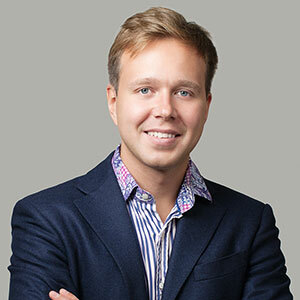 Reverse search engine optimization is a highly sought after solution in today’s’ world of reputation management strategies. If you have any additional questions please fill out the form below and we can help you suppress web pages that are limiting the success of your business. One quick and easy way to increase your visibility online and get more relevant content about you or your business on the first pages of search results like Google would be by creating business listings. One important thing to keep in mind when creating your business listings is to stay consistent. It is bad SEO practice to use differentiating phone numbers and contact information across all your profiles. Alternatively, make sure all the information is the same with a slightly altered bio or about me section. Although you may already think you have a few here and there, there are several hundred options to choose from. Why limit yourself? In addition, ensure that the contact information across all of your listings is identical. Google will get confused if you have a phone number on Facebook that does not match your phone number on your Google My Business listing. Just like press releases and media outlets, business listings also hold high authority online. Sites such as Yelp, Google, Yahoo, TripAdvisor, Expedia and hundreds more show on the first page. 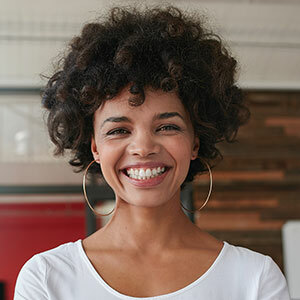 Creating business listings is one of the best ways to marketing yourself or business FOR FREE in 2019. Plus this is a great way to improve your search engine optimization (SEO). Have you ever audited your own site? Do you have the ability to conduct an SEO audit on your business to see where there is room for improvement? For most, the answer is probably no unless you have an in-house IT or Technical Specialist. However, there are several tools available on the internet as well as websites to use to perform this on your behalf. The most effective tool is found on SEMRush, this is a paid feature however they do offer a free trial so you can at least run one SEO audit, export the insights and work on them over time. Here you can conduct various SEO audits for your website. This will uncover any bad links, error-filled pages, on page seo insights and even a list of keywords you can start to implement. SEMRush is an alternative to hiring an SEO consultant to work for you. Simply export your report to a management software like Trello and work through the checklist one by one. Considering the best way to reverse SEO bad reviews, negative results or web pages is by simply optimizing your own content. So, gone are the days where you could stuff your articles full of keywords and have it rank on Google’s result pages in a few days. As technology grows, so does Google’s algorithm. Synonyms and relative terms are factored in where Google will penalize you and deem your pages as “spam”. By running a quick SEO audit (5 minutes) on SEMRush you will uncover what parts of your website need adjustments. Start with long-tail keywords to build up your traffic. As your site gets more powerful in authority over time you can begin to write about more broad competitive keywords. As simple as this sounds, social media marketing is becoming more and more of a trend. As Millennials are starting to get older and enter the workforce. So, creating profiles on Instagram, Facebook, and Twitter are some of the easiest ways to promote yourself FOR FREE! Furthermore, one of the most growing marketing techniques in 2018 into 2019 is Web 2.0. Online marketing is key in 2019, everyone uses their cell phones to research and communicate you must have a way to connect with your audience in all shapes and forms. For example, this is when a business publishes a new blog or page on their website then shares it to Instagram. From Instagram, you can then share that post to Facebook and then share from Facebook to Twitter. You can continue this process throughout all of your social media profiles to maximize your efforts. This chain building technique quickly increases the page authority of that particular blog or webpage. Gain more followers online by consistently publishing new content! So, we highly recommend you create a profile. You do not necessarily need to post on them (although we do recommend it). Therefore, social media profiles alone should give you an added boost in SEO. Making it much easier to suppress and perform reverse SEO on negative web pages. Furthermore, when working on reverse SEO yourself it is important to keep in mind, the results will not be instant. Continuous efforts must be put forth in order to keep pushing information off the first pages of search engines. Additional questions on web design, responsiveness or more reverse SEO? Complete the form below and we will contact you within 24-hours to find the best solution for you. Online reputation management services by NetReputation are 100% guaranteed for life! You only have one reputation, we make sure it’s a good one.